EmpanadaVille has something for everyone looking to experience authentic Puerto Rican cooking. We specialize in offering a huge selection of empanadas, both savory & sweet with your favorite dipping sauces, and we can cater to your dietary needs and preferences too. Our empanadas are hand-made fresh on the premises each and every day, and we will be happy to make them how you like them. Baked or deep fried, whole wheat flour or white flour, meat or vegetarian filled… or maybe you are looking to satisfy your sweet tooth with one of our dessert empanadas… we really do have the perfect empanada for you. Great as a midday snack on the run, or as a flavorful dinner meal, we also serve roasted chicken, yellow rice, red and black beans, salads, plantains, and don’t forget the flan. Our flan is made from a recipe that was handed down and perfected over generations and comes in 4 flavors that are rotated weekly. 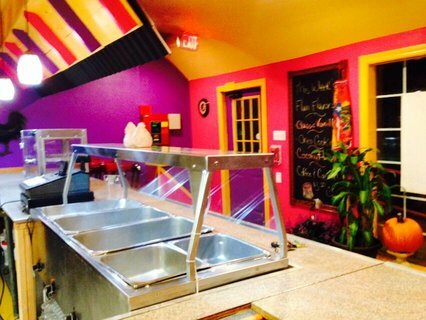 EmpanadaVille is conveniently located off the William Floyd Parkway in Mastic Beach, so you can stop in and enjoy a meal on the go, or you can call in your order and it will be ready for pick-up on your way home. If you just can’t get enough of our authentic Puerto Rican flavor, or can’t decide on something different to serve at your next party, be sure to order one of our empanada party packs – they will be the life of the party! Stop in and let us know how we can make your next meal the perfect one for you and your family. Enjoy Outdoor Events on LI this June!